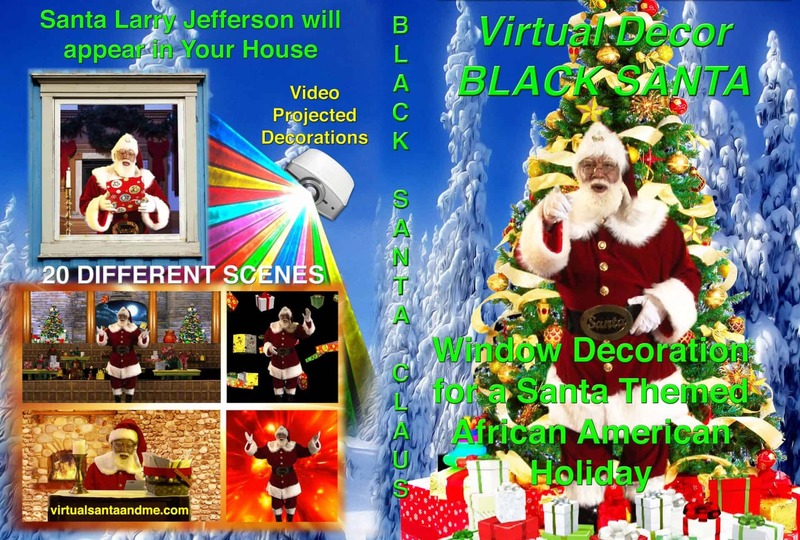 Virtual Black Santa as Downloaded MPEG4 files. Get 14 Scenes downloaded to your computer. When you purchase these files, you will be taken to Holiday Projections via Payloadz and there will be MPEG4 files on the screen. Click to download the files. 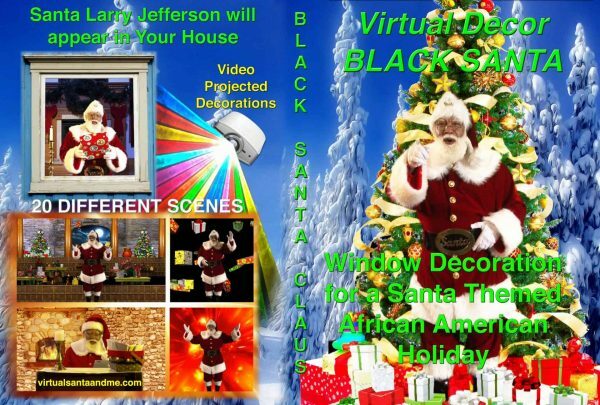 We are pleased to offer an African American version of the Virtual Santa Window Decoration Effect. 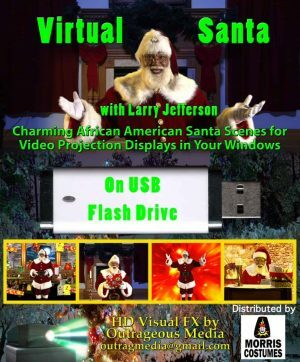 Santa Larry Jefferson is a very entertaining Santa Claus for your window display, and brings a special flair and personality to the scenes. 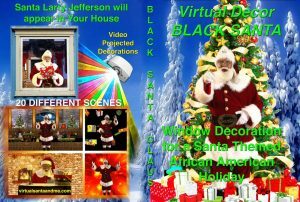 Black Virtual Santa will allow the African American Consumer to decorate with a Santa they identify with. Virtual Santa will deliver presents, wave out the window, sings a few Christmas Songs, Weighs Presents at the North Pole, and Reads Letters from Children – all in a variety of different background scenes. The DVD version has 20 scenes, some of which are slight variations. Important Details about this product: please understand that these video clips, contain many different Scenes to give you a choice of Scene to use, these are NEVER meant to be played all together as a group, but you can if you want, however the result does not necessarily work. This product is a Window Decoration, not a movie to play for the kids. NOTE that there are Vertical FX, which are the pictures tilted sideways. NO….THE STUDIO DID NOT ACCIDENTALLY TURN THEIR CAMERA SIDEWAYS AND NOT NOTICE IT. The Vertical images, made by MASSIVE customer demand, allow a better framing, brighter and sharper picture in windows which are tall and thin. Vertical Images mean, rotate the projector to the right, 90 degrees for Tall Thin Windows, that’s why these are made. So mix and match the playback as you desire, but if you mix vert and horz files, you will get scenes that are sideways.